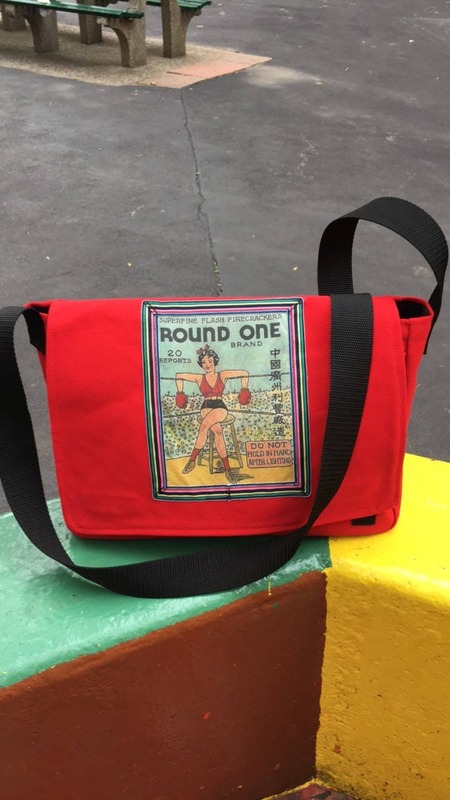 Our canvas courier bag, with a ribbon trimmed image of a japanese vintage firecracker box label called Round One Brand. 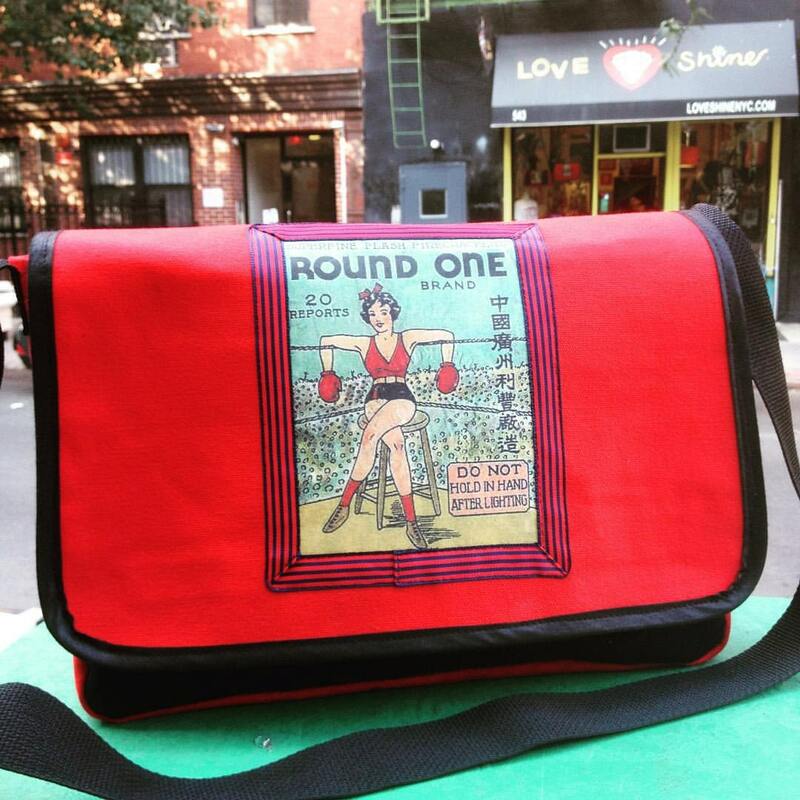 The image depicts a female boxer with her gloves on and arms slung over the ropes. There is some Japanese writing on the right side and the words in English below say " Do not hold in hand after lighting ". This bag will make any messenger feel like a model. 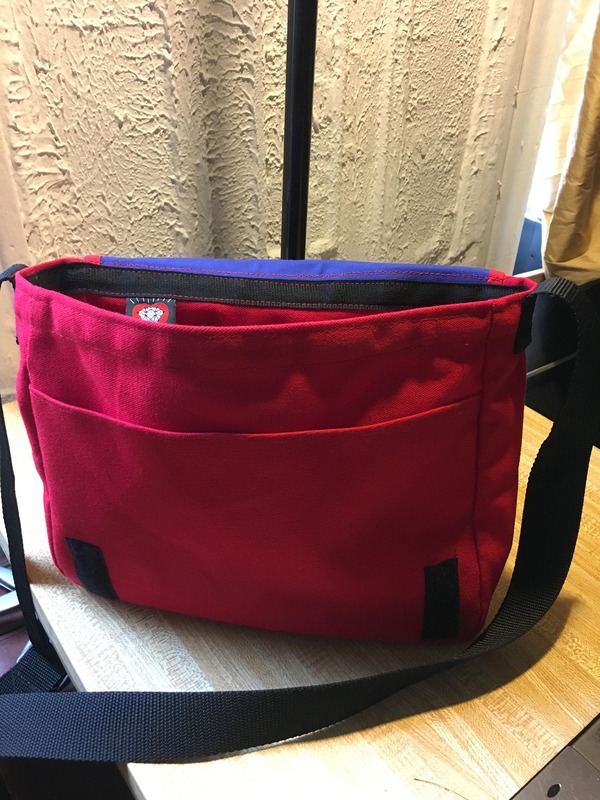 Large enough to carry books and most laptops, our courier bag is made from heavy duty cotton duck red and black canvas and has a Velcro closure and one interior pocket and one large pocket under the flap. the 1.5" polypro webbing strap is adjustable so you can carry it over your shoulder or wear it across your body. This bag is made to order and can be made in other canvas colors blue, brown, black. 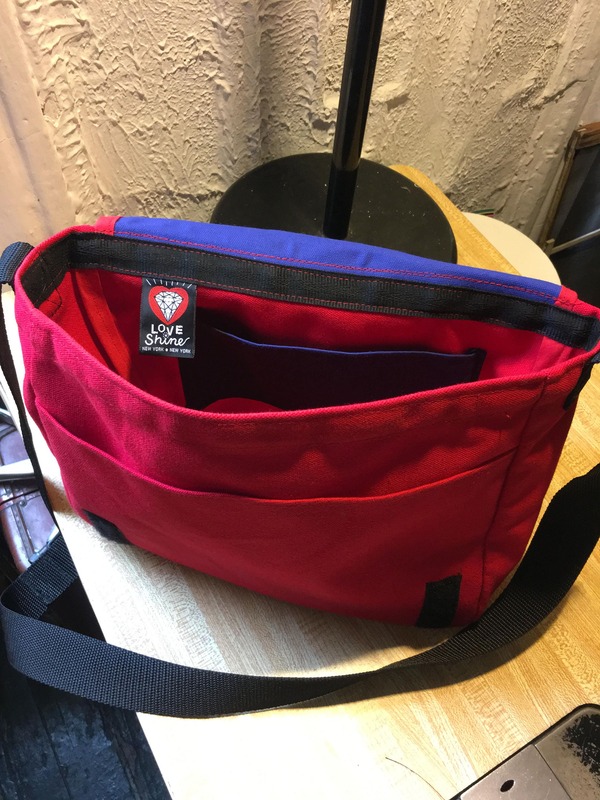 The image can also be made as a Daybag. Feel free to convo.